A good kids’ movie should transcend age. It should have grandparents laughing alongside their grandchildren. It should spark imagination. It should leave an impact that lasts beyond the 90-minute run-time. And it should teach us all something new: about ourselves, about the world or even about how to electrify a doorknob. It’s reassuring to find movies that check all of these boxes, and there are a few playing this summer: excellent kids’ flicks like “Zootopia,” “Finding Dory” and “The BFG.” That re-imagination of the Roald Dahl classic actually opened at the Cineplex Cinemas Varsity and VIP last month, and it really captures everything that made the book so magical. 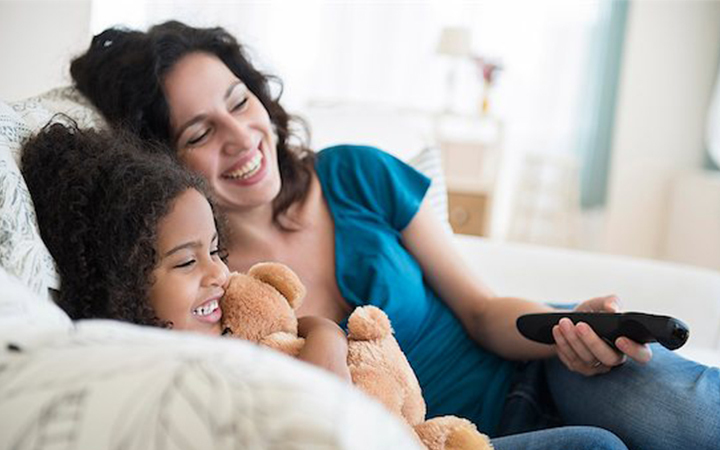 But if your next family movie night with the kids is going to be on the couch instead of at the cinema, we’ve put together some recommendations. You may not recognize all of them, but we guarantee they go toe to toe with any Disney or Pixar blockbuster out there. This classic is for every child who’s ever stayed in another world long after closing a book or turning off a movie. Starring a young Jennifer Connelly and an ageless David Bowie, it follows an adolescent girl trying to rescue her baby stepbrother from the clutches of the evil Goblin King (played, of course, by Bowie in a series of outrageous outfits). Your kids will meet an unforgettable cast of fantastic characters and creatures designed by the legendary Jim Henson — in fact, many consider “Labyrinth” to be Henson Studio’s masterpiece. The film is wonderfully empowering to girls without alienating boys, and features music written for the film by Bowie himself. We challenge your family not to hum “Magic Dance” for weeks afterwards. Macaulay Culkin shines in the lead, but special mention definitely has to be made for Joe Pesci and Daniel Stern: The Wet Bandits. Threatening, malevolent and dumb as a bag of rocks, these actors make every bowling ball-induced concussion, electric shock and tarantula attack oh so satisfying. Roahl Dahl + Wes Anderson + stop motion animation = well, to be honest it should equal a hot mess. But somehow this movie is so much more than the sum of its parts. It’s a great example of a director injecting his own vision into a beloved story and actually making it better. Very funny and surprisingly thoughtful, the film teaches lessons on identity and belonging without pulling any punches. The casting is impeccable, with the usual gang of Wes Anderson regulars voicing a variety of woodland creatures in their battle against the villainous farmers Boggis, Bunce and Bean. This is another one that will have you humming its tunes for weeks. A gem. An absolute gem. In Japan, this movie has a special place in the heart of just about every youngster. When Disney began re-mastering and distributing the films of the incredible Studio Ghibli in the West, that magic was shared with us here in North America. The story is simple and sweet: two young girls move to the countryside with their father to be closer to the hospital where their mother is recovering from an illness. As they adjust to their new life, they discover a magical secret in the woods near their house. This is the perfect balance for the high-octane blockbusters of the summer, and it inspired Pixar’s John Lasseter to create the animated movies we love so much today. If you have the opportunity to watch this movie at a cottage or before a hiking trip, do it — the love and curiosity it ignites for the outdoors will last a lifetime. Released in 1936, this film has been charming families for generations. Don’t let the silence or the black-and-white stop you and your kids from sitting down with it. A master of universal physical comedy, Charlie Chaplin is at his best in “Modern Times,” which tells the timeless story of a down-and-out gentleman looking for a job (and then finding it, losing it, getting arrested and so much more). A scene in which Chaplin is pulled along a conveyor belt through the belly of an intricate machine (totally unscathed, of course) is still one of the most impressive feats of set-based comedy today. Full of warmth and energy, it will have you and your kids laughing from beginning to end. Its perfect rating on Rotten Tomatoes is not for nothing. Kids will truly fall in love with this strange mustachioed man’s charms. Hopefully this list will help you plan the next movie night with the kids. And after the film, ask them about it — what they liked, didn’t like and how it made them feel. That’s right: turn your kids into little film critics. Just remember, in the end, a great kid’s movie is one your kids love.